Protesters hold signs outside a courthouse where a federal judge was to hear arguments in a lawsuit challenging President Trump's executive order to withhold funding from communities that limit cooperation with immigration authorities. (AP) — More local governments in California are saying they don't want to be part of the state's efforts to resist the Trump administration's immigration crackdown, especially in pockets where Republicans still dominate in the otherwise Democratic state. 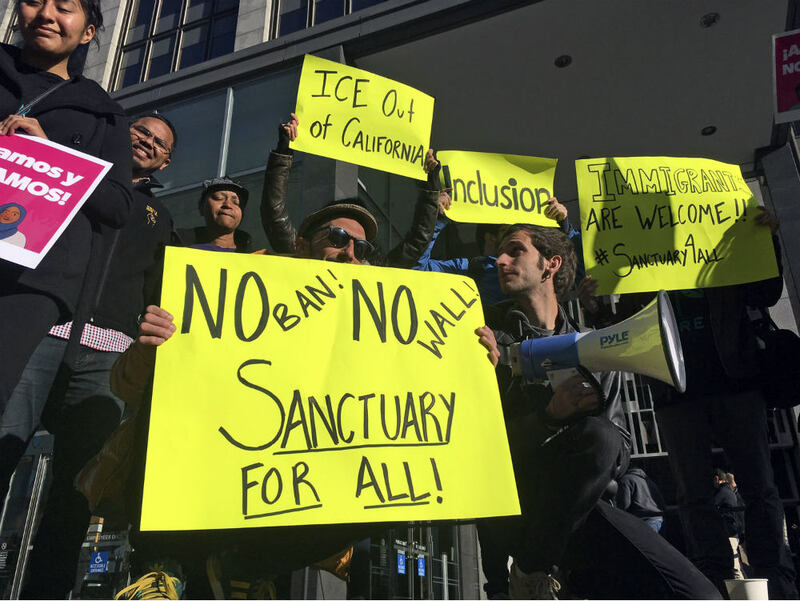 Since the Jeff Sessions-led Department of Justice sued California last month over its so-called "sanctuary state" law limiting police collaboration with immigration agents, at least a dozen local governments have voted to either join or support the lawsuit or for resolutions opposing the state's position.